1. Click on one of the images above. Click on the black and white image if you want to color it later. Or, print off the colored image and there is no need to color it later. Once the new page opens up print off the template. 2. Cut out the canoe. 4. 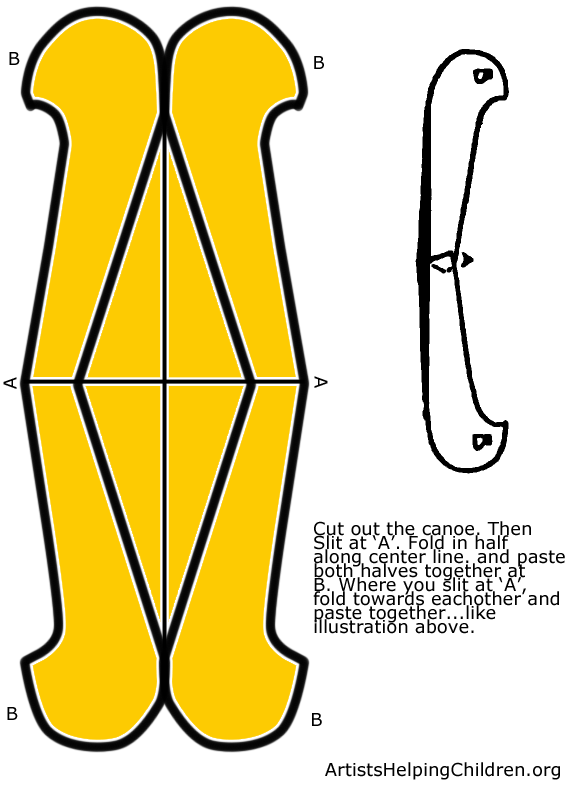 Fold in half along center line. And, paste both halves together at ‘B’. 5. 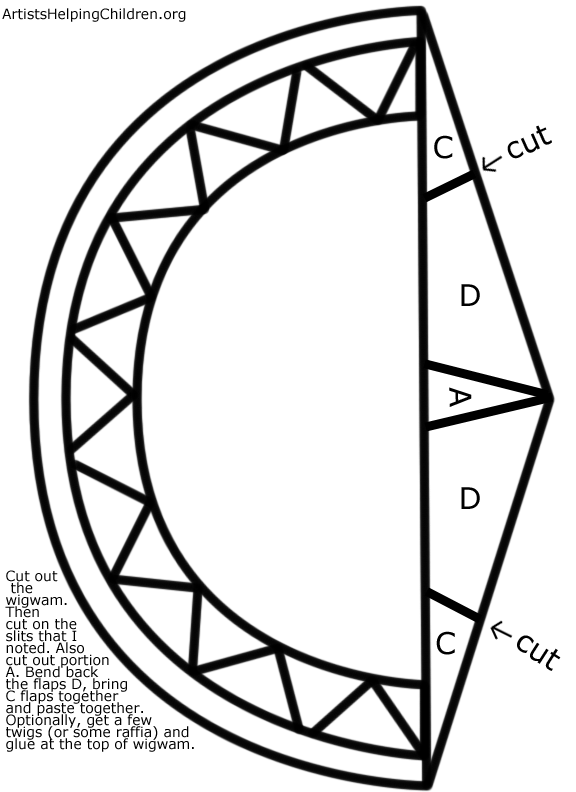 Where you slit at ‘A’, fold towards each other and paste together. 2. Cut out the Wigwam. 3. Cut on the slits that are noted. 4. 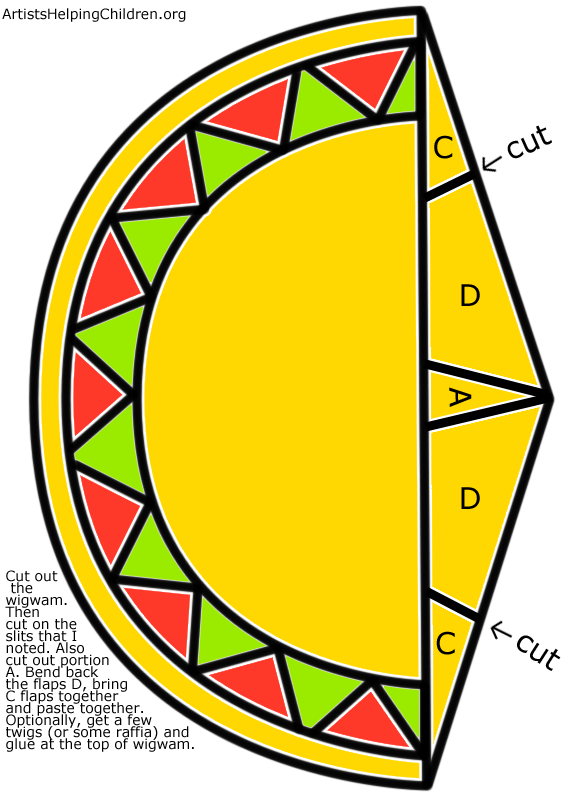 Cut out portion ‘A’. 5. 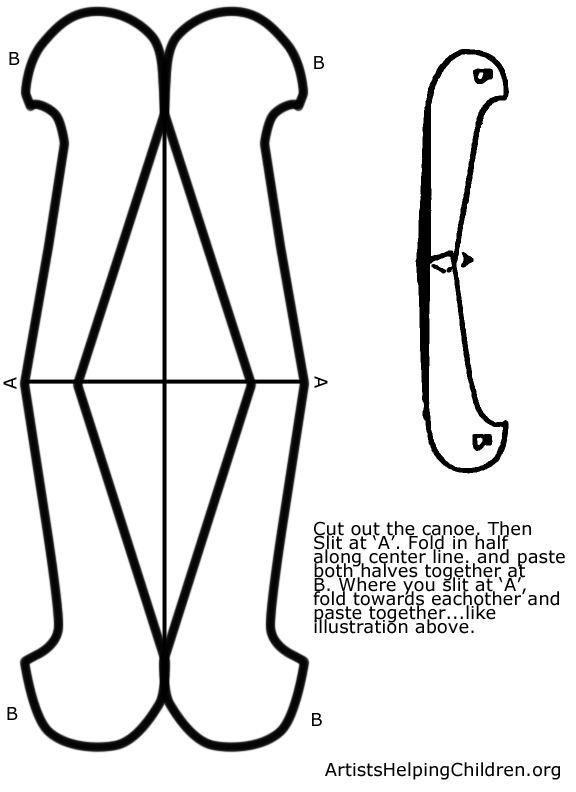 Bend back the flaps ‘D’, bring ‘C’ flaps together and paste together. 6. 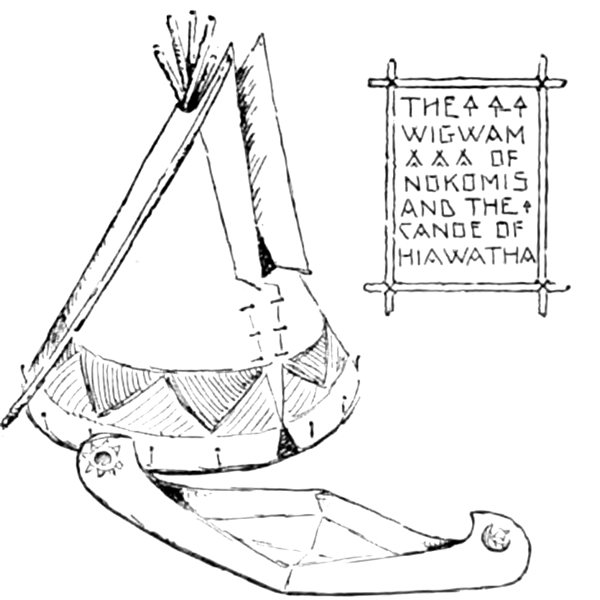 Optionally, get a few twigs (or some raffia) and glue at the top of the Wigwam. And, there you have it…. that’s how you make Wigwams and Canoes for Thanksgiving. Use these as Thanksgiving Decorations…. everyone will surely love them.